Fun & Informative 20-page fitness guide! 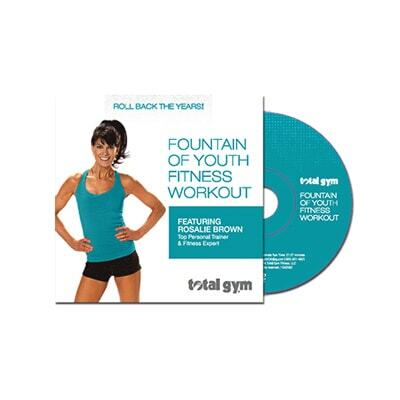 Top Personal Trainer & Fitness Expert Rosalie Brown takes you on a journey to total body fitness with this complete set containing 3 NEW Workout DVDs as well as her Personal Fitspiration Guide! Low-impact, joint friendly Total Body Fountain of Youth Fitness Workout emphasizes posture, core and strength to help you to be a participant in life and not a spectator! This workout is especially useful for those with knee concerns. Workout uses Squat Stand, Wing Attachment and Press Up Bars. 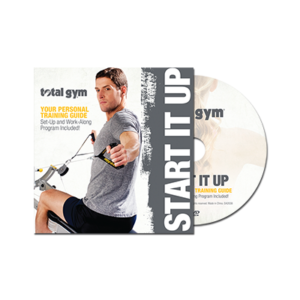 Fun, fast & effective Total Gym Cardio Strength Interval Workout designed to get your blood pumping, your feet moving, your fat burning and your body looking amazing! This workout uses Squat Stand or Flexibility Bar, Wing Attachment and Press Up Bars. 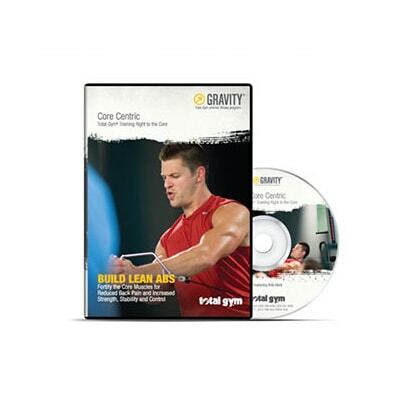 Challenging core-centric workout enhances mobility to help improve posture, agility and stamina. A strong core will maintain proper body alignment; increasing the effectiveness of ALL exercises. Rosalie Brown shares some of her favorite workouts, fitness secrets, motivational tips, nutritional advice and more in this fun & informative guide. Discover what’s in Rosalie’s Kitchen, enjoy her favorite healthy recipes, find out how to snack right, target abs with a trouble-zone workout – plus check out Rosalie’s favorite Total Gym workout – it’s all included in this 20 page guide!